POSTED BY Abhishek ON 06-Apr-2019. Eggs are healthy, tasty, and nutritious. They are versatile and can be used in any food. 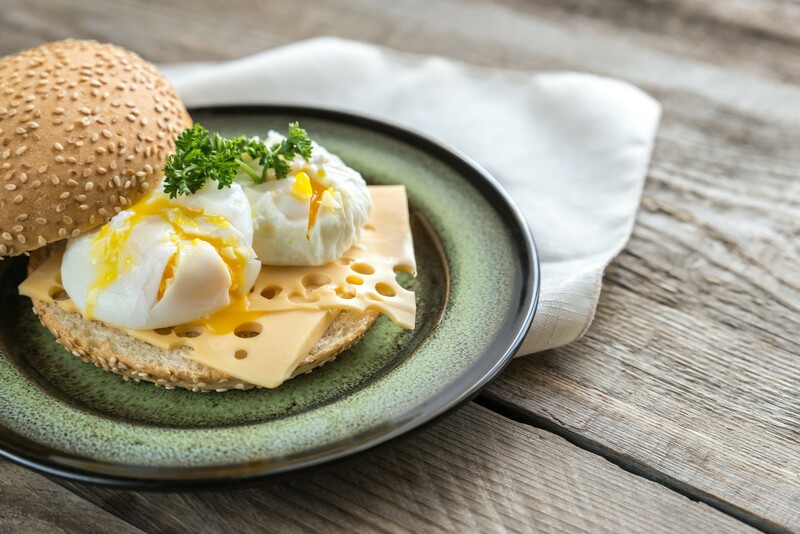 Here is a list of six amazing, delicious and easy recipes that you can make using eggs and other available ingredients at home. Heat 100 to 150ml of water in a saucepan until it starts to boil. Lower the head and put it on simmer. Break an egg or two into the water. After the egg cooks, add tomatoes, zucchini, sauce, and bacon. Fry all the ingredients until cooked and the yolk thickens but is not hard. Empty the food into a bowl and garnish with salt and pepper. It is an Italian porridge recipe that has only a few ingredients, baked eggs, crumbled Italian turkey (if it is not available, you can also buy locally available meat or chicken), and cheese of two types. Take a saucepan, add some oil and heat it. Break some eggs in it after the pan heats and stir. Once the egg starts to cook, add the chicken or meat and let sit for 2 minutes. Add two kinds of cheese, mix all the ingredients, and turn off the flame. Add some asparagus and tomatoes and garnish it with salt and pepper, for a delicious midday meal. Meringues make a unique and tasty dessert item for a potluck or any other occasion. All you need are egg whites, sugar, cream of tartar, and vanilla extract. To get the egg whites, crack an egg and place it over a slotted spoon and wait for the while to fall through. Whisk the egg whites until fluff is formed and slowly add other ingredients and mix them well. Make your favorite shapes and bake them. 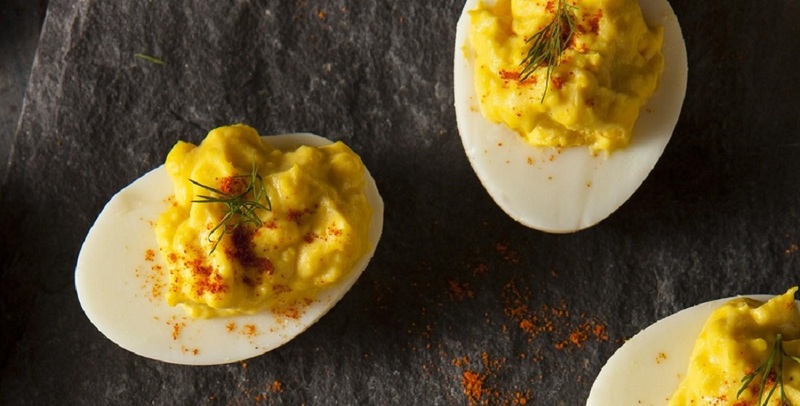 Order eggs online and boil some eggs. Once the eggs are cooked, cut them into the half. Scoop out the yolk and place in a bowl. Mash the yolks, add red pepper, onion, mustard, nutmeg, mayonnaise, parsley and crab to the eggs. Blend all the ingredients well and add pepper to taste. Spoon the mixture and fill the egg-halves. For this, you would need eggs, shredded vegetables, bean sprouts, and a few staples. Take a pan, add oil to it and heat it. Add eggs and cook them in low heat until they are slightly cooked. Remove the eggs and place them aside. Now, add some oil to the pan, and put it on medium heat. Add ginger and garlic and cook until they soften. Add the shredded vegetables, bean sprouts, soy sauce, and vinegar to it. Cover and cook until the vegetables are tender for about 3 minutes. Now to this, add the eggs and cook uncovered. Stir all the ingredients until the egg scrambles. Remove the cooked food and serve it in a bowl. The conventional method of getting hard eggs are boiling them in water. However, there is also another way of doing so. Buy organic eggs online and put these eggs in a pan. Add cold water and make sure the eggs are covered by an inch. Turn on the flame and once the eggs start to boil, take the pan away from the stove and place a cover over it. Let the eggs stay in hot water for some time. The time varies based on the size of the eggs. For large eggs, let sit for 15 minutes, 12 minutes for medium eggs, and 9 minutes for small eggs. To peel off the shell, gently tap the egg with a spoon or tap it on the counter and roll in between your hands. Start peeling off from the larger end while holding it under water.